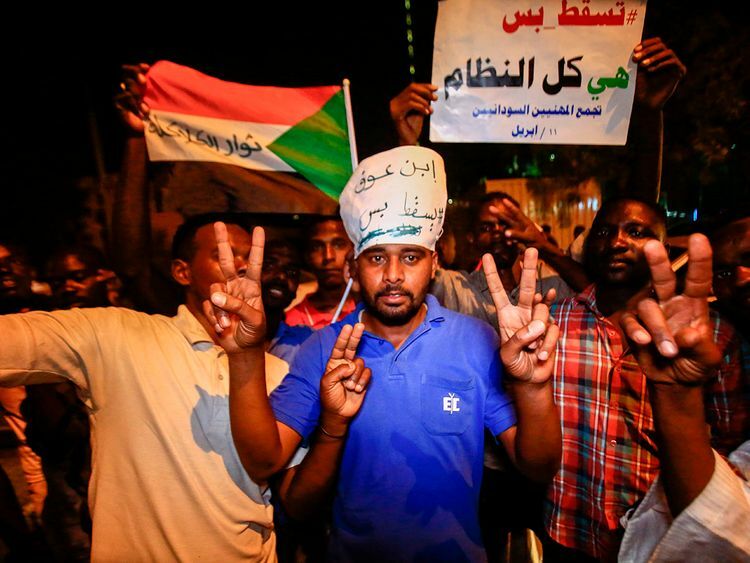 Khartoum: Jubilation in Khartoum that Sudan’s era of iron-fisted rule by Omar Al Bashir was ending Thursday quickly soured when protesters realised the old regime had no plans to go. “Change will not happen with Al Bashir’s entire regime hoodwinking Sudanese civilians through a military coup,” tweeted Alaa Salah, who has become an icon of the protest movement after a video of her leading demonstrators’ chants went viral. Excitement and jubilation began to turn to anger and defiance only hours after Defence Minister Awad Ibnouf announced that Al Bashir had been ousted by the army and a military council was being put in his place for two years. The army has slapped a night-time curfew on the country that started at 10pm. “This man (Al Bashir) is a bloodthirsty leader and he is wanted, he brings us another regime. This is completely unacceptable,” added another.